ALKEMI is a recycled surface material composed of post-industrial scrap waste. Made from fine flake aluminum milling scrap—which commonly burns up as a heavy smoke pollutant when exposed to conventional aluminum recycling—ALKEMI leaves no hazardous footprint. Available in a variety of colors and surface treatments, ALKEMI may be fabricated and installed using standard solid surface fabrication methods. Strong, durable and exquisite to the eye, ALKEMI offers a brilliant, sustainable solid surface alternative for commercial and residential applications. 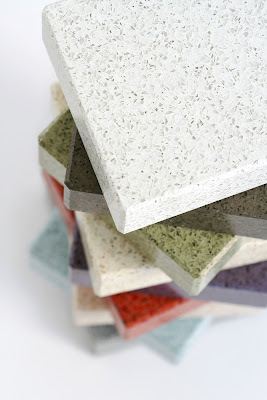 Crossville's EcoCycle was the first porcelain tile certified for recycled content. Scientific Certification Systems (SCS), an independent third-party certifier of environmental claims, conducts regular audits of the innovative processes to ensure that EcoCycle is in strict compliance. The Echo Recycled Glass tile and Color Blox EC also have recycled content certified by Scientific Certification Systems. SCS will also verify Urban Renewal's recycled content, guaranteeing that all these tiles tile are as green as they are beautiful. The premier choice of designers and architects, glass2 is an environmentally friendly product like none other. Ease of fabrication and a sustainable, elegant design are just some of the characteristics that have made glass2 a fabricator's dream. With the goal of meeting the needs of its consumers, a team of engineers produced this beautiful new glass line from 99% recycled glass. 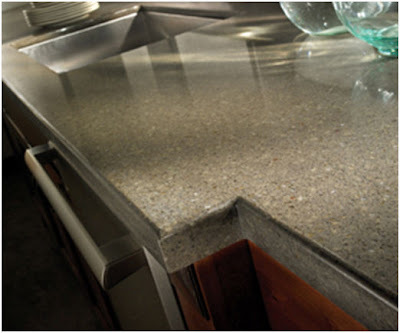 This progressive innovation has made glass2 a leader in the solid surface industry. IceStone surfaces can be used vertically or horizontally for countertops, backsplashes, interior walls, commercial flooring, shower and bathtub surrounds and kitchen sinks. IceStone durable surfaces do not contain any petrochemicals and therefore will not fade from direct sun exposure. IceStone products are a healthy and safe choice for your surface needs, as they are chemically benign and 99.5% inorganic. 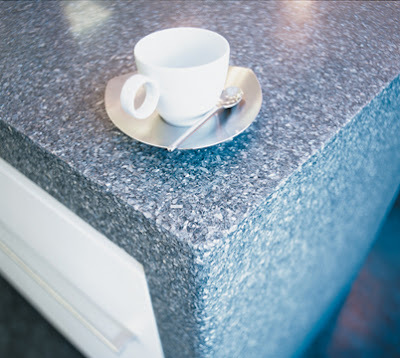 The mixing of non-toxic pigments and various glass colors and sizes results in a versatile IceStone color palette. Most PaperStone products are made from post-consumer waste, recycled paper and proprietary, petroleum-free, phenolic resins. Organic pigments assure superior UV resistance, color stability and even color distribution through the entire panel. It has been certified through the Smartwood program of the Rainforest Alliance to meet FSC standards. 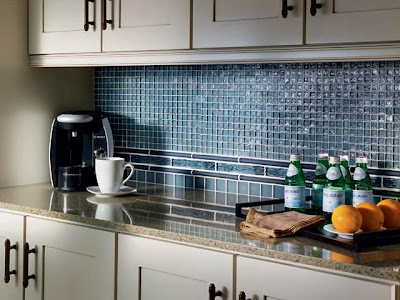 Richlite Company, a manufacturer of paper-based countertops, offers a collection of warm and natural-feeling surface materials that breathe new life into the kitchen, bath and office. Richlite’s® unique paper surfaces bring a soft and comfortable ambience to a room that's rarely achieved through cold, hard stone and plastic solid surfaces. It’s made from environmentally sustainable resources and is an attractive, durable, long-lasting material that complements a variety of design tastes. Torzo Surfaces is a US based manufacturer of sustainable surfaces that are ideal for high wear residential and commercial applications. 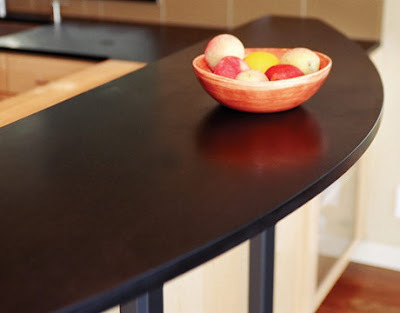 Product applications for these surface products, which are manufactured from agricultural by products and recycled wood materials, include countertops, tabletops, tiles, vanities and flooring. 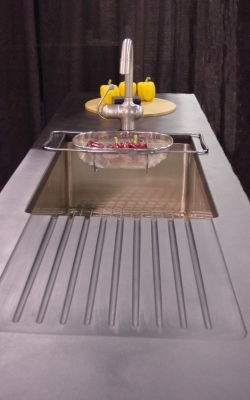 In addition, Torzo Surface product can be used for vertical applications such as paneling, dividers and cabinets.